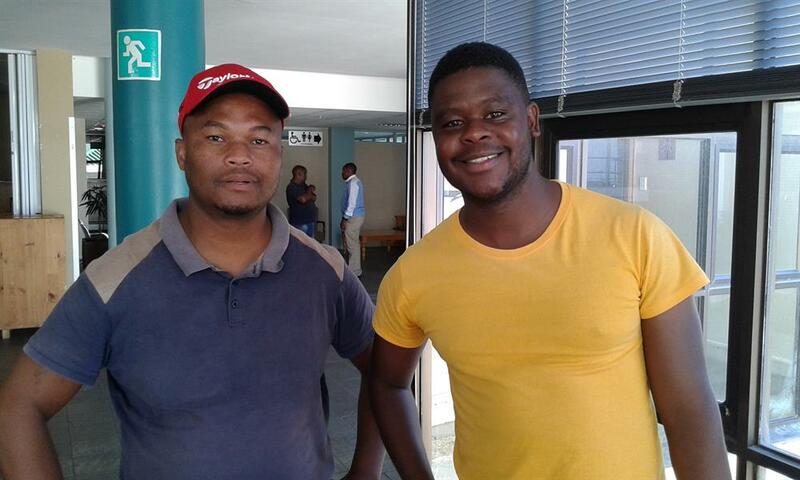 Mzini Vuyisile (left) and Ndou Asiashu of N and P Civils and Trading. This Midrand-based company is currently working on two civil engineering projects in Thembalethu and one in Golden Valley. Their tender for the upgrade of the Nelson Mandela Boulevard is just under R45,5-million. GEORGE NEWS - Representatives of different construction companies gathered in a small office at the Supply Chain section of George Municipality on Tuesday when the tenders for the upgrade of the Nelson Mandela Boulevard were opened. The names of a few local companies, including RK Sauer and Civils 2000, were among the ten who applied for this project. The National Department of Transport has allocated R50-million from the Ekurhuleni Municipality to the George Municipality for the job. According to the specifications, a Construction Industry Development Board level 8CE company must be awarded the tender, because the value of the tender exceeds R50-million. Another specification is a minimum B-BBEE status level 1. Naik previously told the George Herald he wants the Nelson Mandela Boulevard project to be a shining example of a successful black empowerment tender that benefits local companies and transfers skills. A total of five companies with the required B-BBEE status level 1 submitted their tenders. They are RK Sauer, GG Holdings, Muravha, N and P Civils and Trading, and Sethec Pty Ltd.
Muravha, a local CE PE (Potential Emerging) level 8 construction company, submitted the lowest tender for the project with an amount of just over R43-million. The second lowest tender of just under R45,5-million was submitted by N and P Civils and Trading, a Midrand-based CE level 7 company currently busy with two civil engineering projects in Thembalethu and one in Golden Valley. Other companies that quoted under R50-million include Power Construction (R46,6-million) and RK Sauer (R49,6-million). Those who quoted over R50-million include GG Holdings, Setheo Pty Ltd, Hendra, Zama Zabest Africa, Civils 2000 and Raubex Infra. One of the tenderers, who doesn't want his name mentioned, said their hopes are high, but the competition is tough. "I think the challenge was very big," he said.